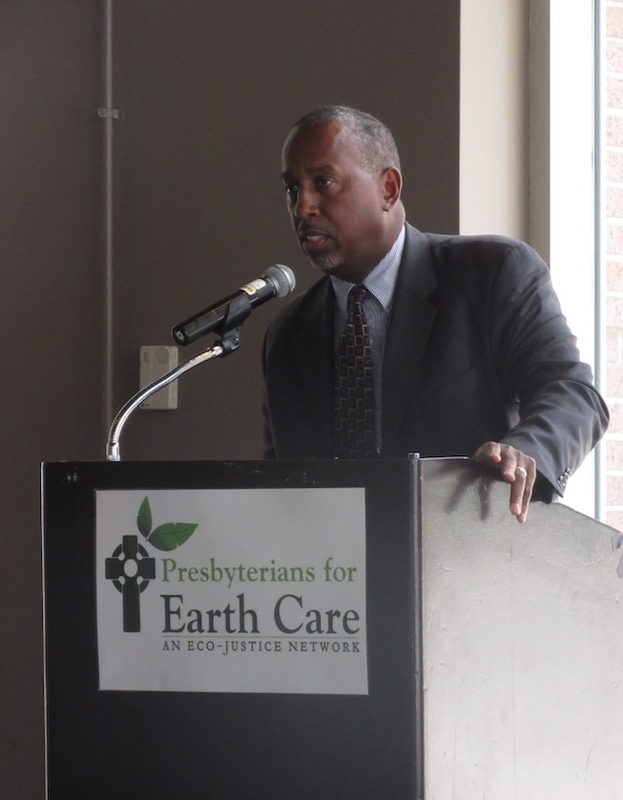 Presbyterians for Earth Care: What happened at General Assembly? Presbyterians for Earth Care has a presence at every General Assembly. We have a booth in the exhibit hall, we hold a luncheon to honor our awardees, and we support overtures sent to the Assembly. This year our luncheon featured the Rev. Jimmie Hawkins, Director of the Office of Public Witness. Jimmie shared the work of the Poor People’s Campaign and the intersection with environmental justice. He spoke briefly about his time in jail, as a result of his participation in the Poor People’s Campaign. He left plenty of time to interact with the attendees. Our awardees were honored and given an opportunity to share about their work. The William Gibson Eco-Justice Award was presented to Pam McVety. Sarah E. Ogletree received the Emerging Earth Care Leader Award for a young adult, and Interfaith Partners for the Chesapeake received the Restoring Creation Award for an organization. On Directing the Board of Pensions and the Presbyterian Church (U.S.A.) Foundation to Divest from Fossil Fuel and Actively Invest in Securities That Focus on Renewable Energy. This overture was widely reported on. Ultimately the Assembly decided not to divest, but to continue corporate engagement focused on particular companies. This was hugely disappointing. On Responding to Environmental Racism. This overture calls on the church to listen to the people who are affected by environmental racism and to respond to environmental racism. This overture passed overwhelmingly. There is much work to be done in this area. The former co-moderators, Denise Anderson and Jan Edmiston, admitted that while they had done much to educate the church on the issue of racism, there is much work left to be done. Environmental racism is one area that the church has not addressed. Reporting after the Assembly named racism as one of the top issues but neglected to mention this overture. The Earth Is the Lord’s - Not Ours to Ruin: Priorities for a New Moral Era. 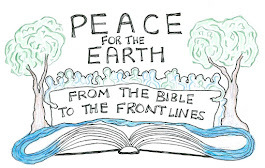 This overture calls on the church to raise its prophetic voice on the issue of climate change. This overture borrowed heavily on a similar resolution by the United Church of Christ in response to the President announcing that the United States was pulling out of the Paris Agreement. It challenges preachers to preach and everyone to go to the Capitol and our state houses to advocate for God’s creation. This overture passed as part of the consent agenda. While the divestment outcome was disappointing, there are signs of hope in the passage of the other overtures. And for the first time there was a committee that dealt only with environmental issues. Stay tuned for news about the Exhibit Hall.